Haven’t entered the top 5 search engine ranking positions yet? While you’ve optimized your website completely. What’s going wrong? Well, nothing really. If you’ve followed our advice, your rankings have already improved significantly. However, there’s still another effective strategy left to use! One that Google and other search engines attach a lot of value to. Link building. By placing qualitative links from other relevant websites to yours, you make sure your ranking positions get another boost towards new highs. What is link building and why is it important for SEO? Let’s first offer some clarification. Google doesn’t particularly attach value to link building in itself. Qualitative content on websites with a high authority however are highly appreciated. And when your website receives links from these high quality websites with high rankings, you can grab a piece of authority too! And authority is of great importance to search engines. It causes higher positions in the rankings. In a nutshell, that’s more or less the modern way of link building. In the past however, link building was applied quite differently. Way more spammy. And after a while Google took severe sanctions. That’s why it’s so important nowadays to deal with link building sensibly and carefully. Then you can develop a higher authority in a constructive manner. And you don’t run the risk of getting any penalties. In 2012 Google performed the Penguin update: an adjusted algorithm to counter spam generally. Especially websites with a highly artificial linking profile (linking profile that was developed in a manipulative fashion) were hit hard. This meant the end of the era of artificial link building. From now on, quantity didn't count anymore. The attention of online marketers shifted towards quality. It became key to create high quality content at strong and relevant websites. No more placing of many spammy links on many random websites. So, do you maintain a high level of quality? Then link building still is an essential strategy for you. One where you don’t run the risk of being penalized by updates like Google Penguin. Decided that link building should be a part of your strategy? Then start off by writing strong, unique content. This can be in the shape of a blog in which you focus on a relevant topic of your website. Then you can place this blog on a relevant website with a high(er) authority. The interconnection can be made by inserting a hyperlink that links to your web page into the blog. When your content is really strong, it might get noticed and perhaps websites spontaneously start linking to your webpage. To stimulate the latter, you can consider making available an e-book, whitepaper or infographic – all examples of linkbait. A relevant anchor text – the text to which a hyperlink is connected – might be just as important as the complete contents of the blog itself. The anchor text plays an important role in the way that search robots judge the page whereto it links (your page). Besides, it can of course function as an important trigger for a real visitor to actually click on it. Do make sure you do not use the same anchor text every time you link to a certain page, but vary to prevent making a spammy impression. Tools as Link Assistant allow you to perform smart analyses to monitor your campaign with clear overviews, whereas SEO Spyglass solely provides in the most important analyzing features whereupon you can base your own actions. To build up a natural link profile, you don’t want to engage with companies that promise you to have hundreds of links online to your websites within a short time. As said earlier: quality beats quantity. Additional benefit: natural visitors that come across your blog and/or links, are more likely to follow the link to your website. That’s a welcome piece of referral traffic that not only causes extra visitors, but also contributes to higher rankings. Make sure you only exchange links with websites that have affinity with yours. Avoid every form of illegal SEO, also known as Blackhat SEO, because sooner or later you will be punished. And that can result in either a penalty or a complete removal from the Google index! 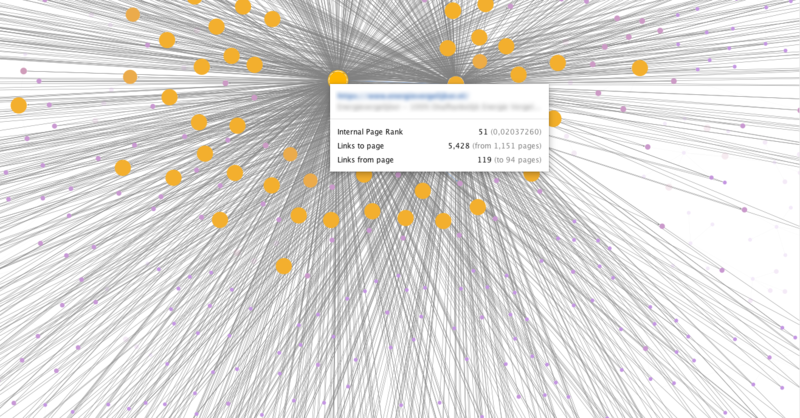 Are you looking for a tool you can map your own and competition’s website(s) with? A tool you can monitor all your link building activities and progress with? SEO Majestic provides insight into concepts as ‘Citation Flow’, ‘Trust Flow’, ‘External Backlinks’ and ‘Reffering Domains’. You can also check out the other link building tools we have tested already. Need personal help in designing your link building campaign? Then you can appeal to creative content marketers and/or online pr experts from agencies such as Screaming Frog and Fat Joe. Pessimists want to make you believe that link building no longer has a lot of use because of the Google Penguin update. Has the link building game changed? Yes, absolutely. Is link building no longer an efficient SEO strategy? Absolutely not! On the contrary: when all other factors are the same, the amount of links and the quality of these links referring to a page still is decisive in the position it takes in the search engine result page. Opponents don’t realize the game has changed and they hold on to the old way of link building too much. Nowadays the quality and context is of significant importance, because search engines as Google attach value to these properties more and more causing inferior links to be filtered out sooner and more often. Do you practice a constructive strategy whereby a high quality and context is maintained? Then link building is essential in your range of marketing activities to make your website easy to find and keep it that way! Check out all the link building tools we have used ourselves and read all of our free reviews there! Or have a quick look at the official website of, for example, Link Assistant.